How are the exchange rates managed in LSP.expert? We always use the correct exchange rate to convert the amounts into your currency. To convert the amounts in your invoices, we use the exchange rates of the ECB. The exchange rate is the one applicable at the issue date of a document (if it hasn't been paid yet) or at the payment date (if already paid). In your invoices, you'll see a line mentioning the total in your default currency (the one you defined in Settings > Accounting), the exchange rate used and a blue icon below the total (representing a chart). If you click on this icon, the system will open a window showing you the difference between the exchange rate at the date of issue and the exchange rate at the date of payment, so you know exactly how much you gained/lost between these two dates. You can also edit the exchange rate in the invoice by clicking on this little blue icon and then on the little pencil. 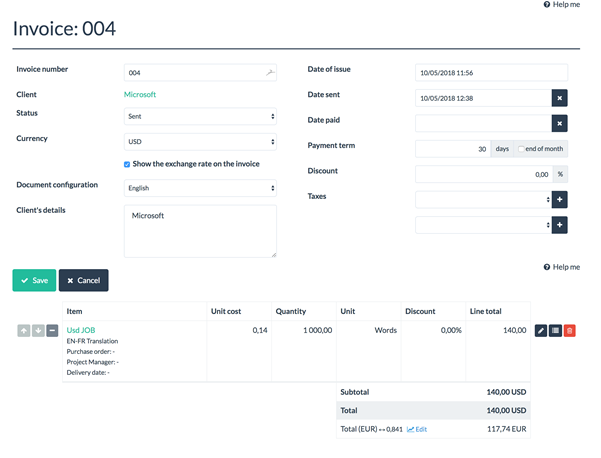 This functionality will be useful if you have, for example, a fixed exchange rate defined per month by a specific client. 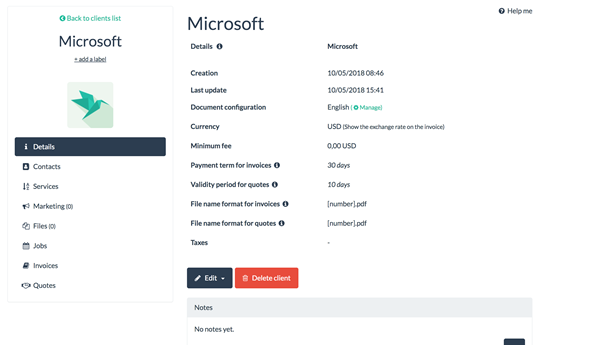 To display the exchange rate (date of issue) in the PDF file of an invoice, you have to click on Actions > Edit invoice details and tick the corresponding box in the invoice details. The exchange rates are also used in the reports to convert the amounts into your default currency (if you tick the corresponding box). For the amounts already paid, the system will use the exchange rate that was applicable at the payment date. For the amounts that are not paid yet, the system will use the last available exchange rate.